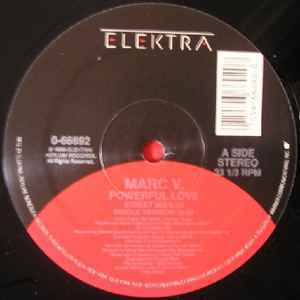 The worst track off the ELECTRA album 'Too True' from Marc V by some distance! Also the only track that Marc V isn't credited with writing on the album. Think it was written by 'The System' or should that be 'the Cistern'. Flush It! Marc V ex Personal Column, UK band loved by John Peel for whom they recorded three sessions. They also had a session on the Kid Jensen show and tne last Personal Column single 'Strictly Confidential'was played on BBC 6 music in 2008 and remains a great single released on Stiff records. The big time for Personal Column was sadly not to be and evolved into 'The Gold Standard' quickly signed and sent to the states to record an album but in the event only Marc V went over and I'd suggest in a prototype of Gary Barlow some years later was misinterpreted and manipulated to deliver something neither set out to be. Game over! A criminal waste of vocal and songwriting talent! Check out personalcolumn dotinfo.